Richard Carrier received a PhD in ancient history from Columbia University in 2008. He is author of the books "Sense and Goodness without God," "Proving History" and "Not the Impossible Faith," as well as numerous print and online articles. 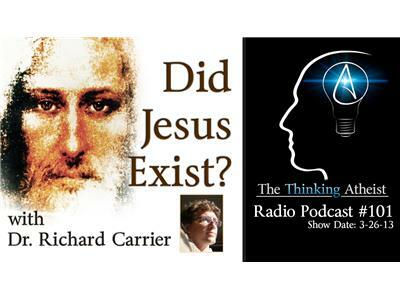 In this episode, Carrier lends his expertise as we tackle the question, did the Jesus of the bible exist?